Liv Lax is excited to open registration for Fall Lacrosse. 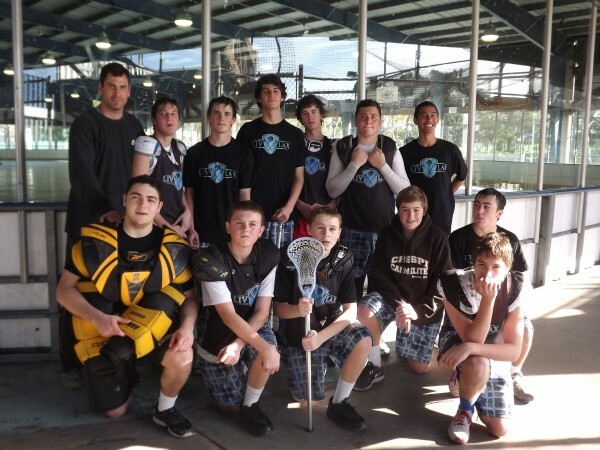 Most commonly played on the East Coast during the winter months, Box Lacrosse is gaining popularity on the West Coast and Liv Lax entering its 3rd year of playing. Both offensive and defensive players benefit from this fast paced game. Players develop better stick skills, shooting accuracy, and improved foot speed. The game is played at a very fast pace due to a shot clock which allows for multiple touches of the ball and a lot of transition up and down the floor. With more and more D1 players coming from a Box Lacrosse background, more and more youth programs around the country are playing Box Lacrosse as an off-season tool to develop skills for the outdoor game. Practices: Practices will be held at Crespi High School in Encino, CA. Times and days are TBD. The League: Liv Lax will be participating in the Adrenaline Box Lacrosse League. Game Times: Games will be held on Wednesdays 5:30-8:30, Saturday 12pm-5pm. Cost: $400 fee includes league fees, coaches fees, and practice field. $450 if you do not have a Liv Lax Uniform in the digital camo. Additional Cost: All players must be registered with the US Box Lacrosse Association for a fee of $45. Membership is good for 2 years. Those that registered last year are good through 12.31.12. To register go to www.usboxla.com..
Equipment: Equipment must be provided by the player. Communication of Schedule: All scheduling information including practices will be available and posted on TeamSnap. Deadline: August, 21, 2012 . The Liv Lax Young Guns is for players who are newer in their Lacrosse playing career. Players will play in a division similiar to their skill level. New players are welcome. Coaches will determine the roster. No players are cut in the Liv Lax program. Ages: 9th-11th boys in the Los Angeles. Season: The season will run September-December. The League: The Young Guns will be participating in the LA Box Lacrosse League JV Division that is designed for teams with a similar skill level. Games: The 7 game schedule will be played on weekends. Game Locations are Torrance. Additional Cost: All players must be registered with the US Box Lacrosse Association for a fee of $45. Membership is good for 2 years. Those that registered last year are good through 12.31.12. To register go to www.usboxla.com. Optional Cost: Liv Lax Warrior T2 helmets in matte black are available for purchase for $175. Communication of Scheduling: All information will be available on TeamSnap. Registration Deadline: August 31, 2012 . The Liv Lax Chiefs is for players who are in the 7th or 8th Grade. New players are welcome. Ages: 7th & 8th grade boys in the Los Angeles area. Practices: Practices will be held at Crespi High School in Encino, CA. Time and day is TBD. The League: The Chiefs will be participating in the LA Box Lacrosse League in the Bantom Division. Cost: $400 fee includes league fees, coaches fees, Liv Lax uniform and practice field. Additional Cost: All players must be registered with the US Box Lacrosse Association at www.usboxla.com for a fee of $45. Membership is good for 2 years. Communication of Scheduling: All scheduling information, including the practice schedule, will be posted on TeamSnap.